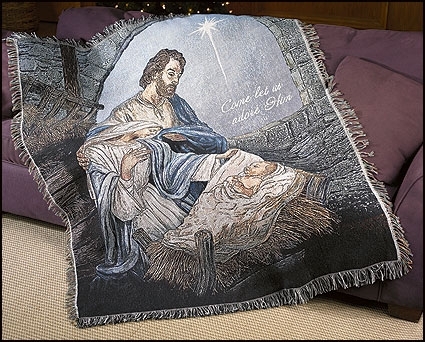 Milagros® is proud to present our Come Let Us Adore Him line with our exclusive Michael Adams Nativity design. The beautiful artwork is available on practical items that will look lovely in any home holiday setting. Display them together to make a stunning presentation in your store.